Arlington Free Clinic provides free, high quality health care to low-income uninsured Arlington County adults through the generosity of donors and volunteers. Every gift to Arlington Free Clinic is important and makes a difference. For every $1 donated, AFC provides a minimum of $6 worth of medical care. This strong ratio is due to AFC’s extraordinary ability to leverage the volunteer and charitable capacity of our community health system. The impact of our work is not limited to our patients; it also impacts the financial health of our local hospitals and the health of the Arlington community. AFC is very unique in that it relies primarily on volunteers to provide medical care and donations from individuals, businesses, churches, civic associations, foundations and United Way to fund essential medical services. Less than 10% of AFC’s total budget of $2.9M is from public sources. Donations, whether large or small, are important and make the services the Clinic provides possible for so many in need in the Arlington community. With the ongoing strong financial support of the community and the volunteer service of over 500 medical and non-medical volunteers, AFC will continue to provide vital health care to the most vulnerable. Jenny, a full time student half way through her PhD program, was a non-smoker who ran marathons and consciously made good choices to be healthy and strong. For a couple of weeks she was feeling run down so she went to her doctor. Within hours she was admitted to the hospital and received the diagnosis of acute leukemia. She went from being a full time student to a full time cancer patient. As terrifying as the diagnosis was, she had several reassuring thoughts. She could count on the support and love of family and friends and she had medical insurance. Three days into her hospital chemo treatment, she found she was right about the family and friends, but wrong about the insurance. Her student health insurance policy had a $50,000 cap that had already been maxed out – and the treatment protocol to rid her body of cancer was projected to go on for two years. So, how did she go from a cancer patient with maxed out insurance to a cancer-free graduate with a job offer? Arlington Free Clinic! She had access to all the medical services needed, including oncology, labs, medications, and care coordination – and, the spring after completing her treatment, she was thrilled to finish another half marathon. Everyone who helps support the Clinic played a part in her victory. 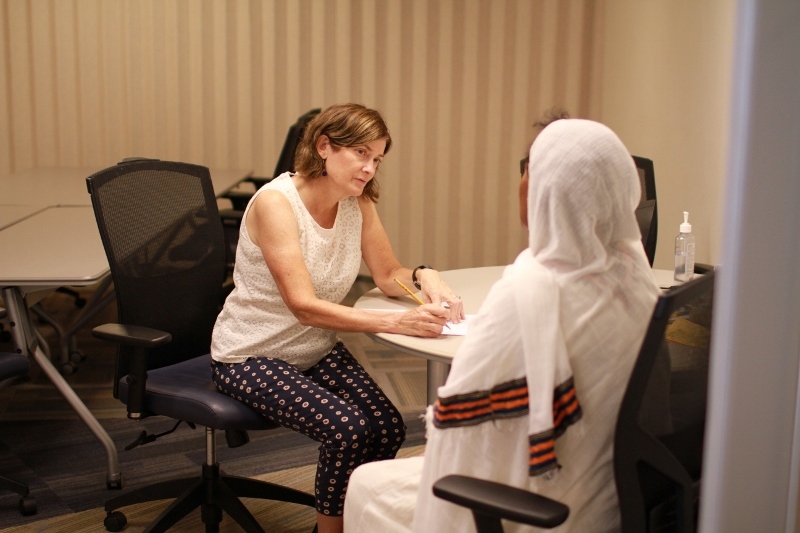 Arlington Free Clinic provides "free, high-quality medical care to low-income, uninsured Arlington County adults through the generosity of donors and volunteers." 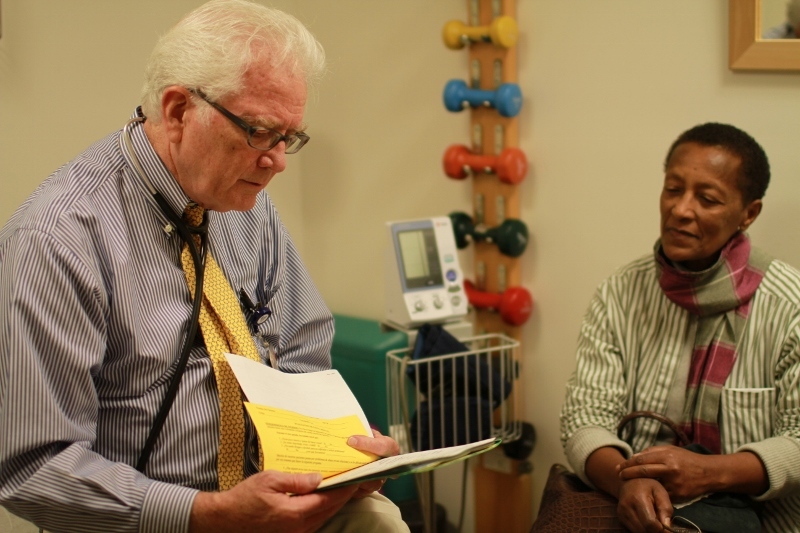 For a quarter century, we have been a sanctuary for county residents living on the margins, providing the full continuum of healthcare onsite and via our partner network ranging from routine primary care to surgery, chemotherapy, and dental care. The Clinic operates five days per week and offers both day and evening appointments. When patients get care at Arlington Free Clinic, we help them manage their conditions, keep them out of expensive emergency rooms, and better control health care spending. The impact of the Clinic cascades beyond our individual patients and into their homes and communities as those who we serve are able to get and stay healthy, work, and take care of their families. 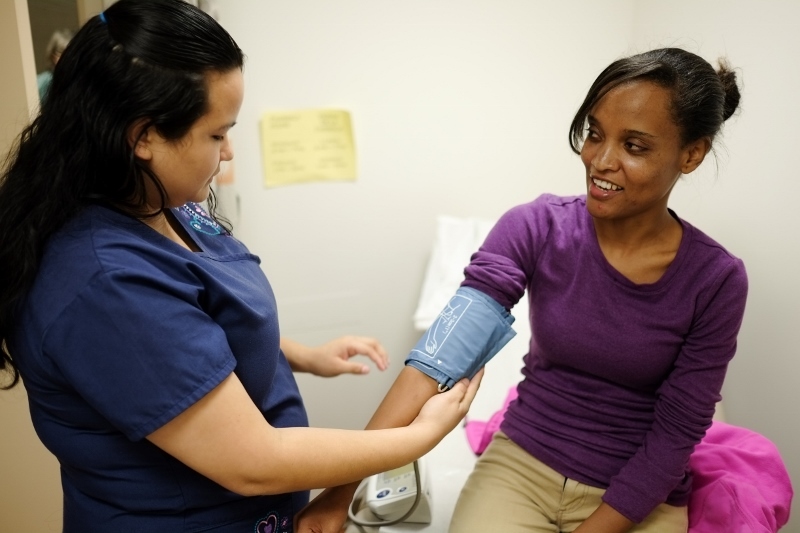 - AFC is Arlington’s only safety net provider of free comprehensive medical care for adults. 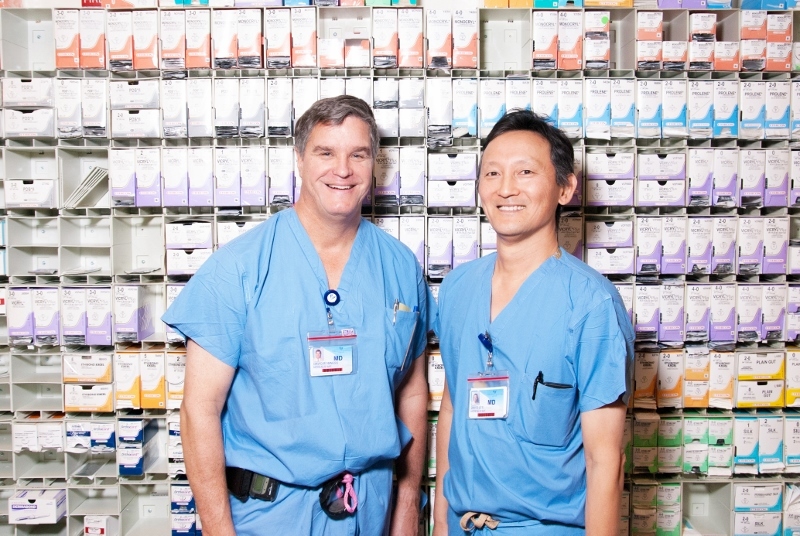 - AFC is the only free clinic in Northern Virginia with on-site access to specialty care. We also have on-site pharmacy services, mental health, women’s health and physical therapy. - AFC is also the only clinic that relies primarily on volunteers to provide our medical care and the only one that relies primarily on donations from individuals, businesses, civic associations, churches, foundations and United Way. Less than 10% of AFC’s total budget is from public sources. - AFC’s services are free – eliminating the most significant barrier to health care for our low income patients. Last year, AFC’s team of 540+ volunteers, including 170 physicians, delivered care to over 1,600 unique patients in more than 9,000 visits. AFC’s commitment to excellence has earned recognition that includes GuideStar’s "Gold Star" designation for organizational excellence and Charity Navigator’s top rating for sound fiscal management and transparency. AFC was again spotlighted by Catalogue for Philanthropy last year, as one of the best small nonprofits in the Washington, DC region. In 2009, AFC relocated to our permanent clinic facility just off Columbia Pike in the neighborhood where the majority of our patients live. The Clinic space, which we own, was the first free clinic in the nation to earn LEED Gold certification for sustainable design and construction. 7) Effective community partnerships that allow the Clinic to leverage services and maximize impact on the community.